“Building services maintenance contractors have a key role in reducing carbon emissions from our existing building stock” | BSRIA Blog - Opinions and insights from BSRIA Limited. The title of this blog may sound like an obvious statement, but this is one area that if not managed correctly will have a dramatic effect on energy consumption. The UK has a target of an 80% reduction in greenhouse gas emissions by 2050, and this target cannot be achieved without reducing our energy consumption in our existing non domestic buildings. These 1.8 million buildings account for 18% of the UK’s total carbon emissions, with a consumption of 300TWh. In addition to regulatory requirements that are in place to assist in the operational performance of buildings, such as building log books, metering strategy, air conditioning inspections, DECs for public buildings, ESOS, to name a few, there are many standards and good practice guides from recognised and respected bodies available to the industry to help in optimising energy performance. However, even where these are put into practice properly, the actual performance really comes down to the operational staff in control of the building and the services, and at a more granular level, depends on the competence and performance of the maintenance engineers. There are two key elements that need to be considered when agreeing maintenance contracts, understanding the design intent of the building services, and ensuring the clients’ needs and business operations are clearly understood and a suitable maintenance regime is put in place. It is challenging enough to ensure even with a new building, that the design intent is transferred across to actual operation, let alone in a building that has services twenty plus years old with little or no information available, and that may have had scores of different tenants and many different maintenance contractors. Studies have shown the performance gap between design and operation exists due in part to a lack of understanding by the operational staff of how the building should operate, and the fact that the process involving the design, commissioning and handover does not involve the maintenance contractor. If the industry struggles to get a new building to operate as it should, even when processes such as TM54 and Soft Landings are included, what chance to we have with older buildings? Operational responsibility for many commercial buildings is often outsourced to maintenance contractors through contracts that vary in detail from a simple proposal letter from a contractor, to complicated and detailed maintenance bespoke contracts. It is therefore common to find that standards vary, and client requirements are often not met, even with the most basic contracts and uncomplicated buildings. There are a few important elements that should be considered and implemented. In order to understand how a building should operate, information is crucial, and it is important to gather all relevant information related to the operation, such as O&Ms, log books, asset lists. It is unlikely that the original design information will be available, and so, depending on the size and complexity of the building it is worth considering using a specialist to survey and report on the design. However this can be cost restrictive and many clients rely on the maintenance contractor’s advice and expertise. Careful consideration should be given to the maintenance strategy and the standards employed. 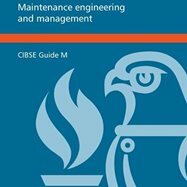 The industry has carried out a lot of good work around maintenance management and standards, the recently launched CIBSE Maintenance guide M is an essential read, and the SFG20 specification provides useful information when considering a planned preventative maintenance regime. The importance of good maintenance cannot be underestimated when it comes to ensuring energy consumption is optimised, and so implementing a standard such as this is an important first step. However, using SFG20 alone can lead to vital areas of good housekeeping being missed. This area often falls between two stalls, and ends up being forgotten. For example, although annual checks are included in SFG20, more regular checks of time clocks and settings is good practice. It is so easy to change a time setting for operation over a particular weekend, and then to forget to change back. This can, and does, result in significant energy consumption which could have been avoided. Maintenance contracts that include an incentive to improve energy performance are becoming more popular, and I believe will become even more so in the future. These can include condition based monitoring and maintenance, and can be structured to ensure both client and contractor benefit. However, many maintenance contracts are fairly short term, which does not allow enough time for a return on investment. In general longer term contracts, with elements built in to ensure value for money on a periodic basis, are more suited to ensure optimum energy performance. In the private sector three year contracts are very typical, this is something that needs to be addressed if we want to make a significant impact. How do you ensure the planned activities are being undertaken? This can be difficult, particularly in a large and complicated building. Even where a process exists that includes detailed SLA’s and KPI’s, it is not unusual to find deficiencies in the maintenance. There are various reasons for this, some client driven, and some related to contractor management issues. Very often maintenance activities are reactive, and not planned to reduce reactive call outs, and the number of call outs can sometimes result in planned tasks being put back or not undertaken at all. Maintenance audits can often pay for themselves through identification of deficiencies, through energy savings and possible refunds in the short term, and equipment life in the longer term. 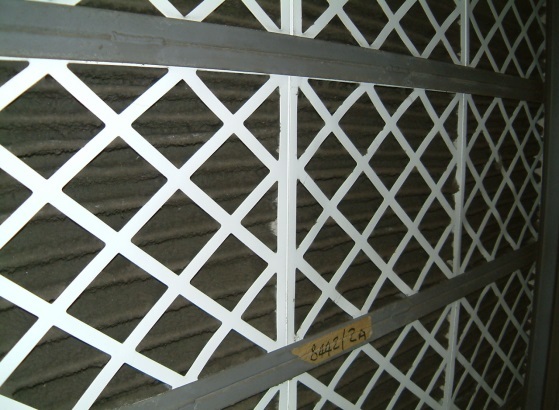 Although lack of maintenance on most of the services in a building have can have an effect on energy efficiency, (examples such as poor water quality, scale build up, bacteria, blocked filters etc., will all have a significant effect), the brains of most buildings is the building management system, and it is the lack of understanding and continual checking of this system that can cause a majority of problems, not only from an energy efficiency perspective, but also occupant satisfaction. It is common for the BMS maintenance to be sub contracted to a specialist provider, which adds another layer of management and complexity to the management of the system. Over complicated systems, lack of proper commissioning and regular building changes often lead to BMS systems that are not understood by the operational staff, and result in inefficient operation. The consequences can be dramatic, even a simple BMS strategy error or a set point that is not correct can result in major plant and equipment being brought on at times when not required, without anyone knowing. Even if the BMS is showing on screen that an item of equipment is not running twenty four hours when not required, a programming error can lead to the equipment actually running, and without physically checking (or separately sub metering), it is difficult to establish actual operation. So, despite well-meaning regulations, standards and good practice guides, I believe one of the biggest challenges is to ensure the correct maintenance regime is put in place to suit the needs of the end user, that the correct level of service is actually provided and maintenance tasks are undertaken. Regular reviews and checks should be carried out to ensure not only the maintenance regime is appropriate, but also all time settings and set points are accurate to match the needs of the occupants and building. Both client and maintenance contractor have a responsibility to ensure the above happens, a good working relationship is essential, and longer term contracts with incentives built in will definitely assist in achieving significant savings at no or low cost. Savings of 10% should easily be achievable in most typical non-domestic buildings, with savings of 20% being in reach for some buildings. These are instant savings, and if applied across all non-domestic buildings, would potentially save 45TWh, a significant proportion of the UK’s targeted carbon emission reduction. Mitch has a fairly unique experience of building services design and operation, stretching over 35 years, in both public and private sectors. He joined M&G Real Estate (previously PRUPIM) in 1999 as Managing Engineer, responsible for operation, maintenance and refurbishment of the portfolio of managed properties across the UK. Following a business re-structure, he took up his current role as Portfolio Energy Manager in 2011. Mitch is responsible for setting the energy performance strategy across the managed portfolio of properties, and for overseeing the strategy to achieve the energy reduction targets. He provides technical advice on energy related issues, and ensures the business is kept abreast of new technology and good industry practice, including renewable energy. He is a Fellow of CIBSE, has been a member of the BSRIA Council for over three years, and was an inaugural member of the BSRIA’s Operation and Maintenance Benchmarking Network. 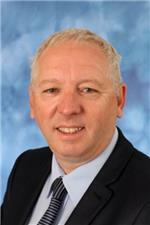 He is also on the BSRIA publications panel and contributes to various technical publications. I followed the link from my discussion on Linkedin. I couldn’t agree with you more on the above points. I increasingly read articles and documentation regarding the energy reductions found in new buildings and new technologies but, unless we are intent on retrofitting all current buildings, the focus must be on improving efficiencies in buildings as they stand in their current form. Like you have stated above, it is those who manage and operate the buildings and its systems that will ultimately have the biggest impact on total energy use. Your article is the first that I have read which identifies the need for proper management and operation of equipment, in order to reduce energy use. I have worked on a number of contracts and nowhere have I seen the sort of attention to energy consumption that I feel that there needs to be. Do you have any further links relating to this subject? I’d be very interested on reading anything else that you have? Ricky, I don’t have any further information specifically related to this topic, I think this is one of the problems in that there isn’t anything to my knowlegde that is an industry maintenance standard that prioritises energy efficiency. I know certain sectors are addressing this, particularly knowledgable owner occupiers, but it is infomation that is not easy to obtain. An important area is around upskillling of facilities and building managers, after all the basics in theory are simple, its just a case of making sure it happens! I really enjoyed reading your article, although for the laymen (who most building owners are and come to think of it, most maintenance people are too) the amount of defined standards and abbreviations of these standards is mind boggling, as even your article suggests. This in my eyes is one of the major factors in maintaining a building to run at its peak performance, insofar as energy efficiency. You touched on water treatment, which is the area I work in. We have studied existing building heating and cooling water quality and where we have found non or very poor water treatment in place, the energy efficiency levels have dropped by upto 20%! Just simple actions at very little expense, re-gains these efficiencies within 6 months and the time taken for the maintenance staff to look after the system and check the water quality of that system will be approx 2 hours per year. A good return on investment I would say. It takes approx 1 hour of on-site training for one of the maintenance team to know what to do, how to do it and he becomes a little expert in his system. For example; there are approx 30,000 schools in the UK. In the old days we had school caretakers who looked after virtually everything and knew his building inside out. Now we have Estate Managers, who, when things go wrong with a system, just pick up the phone and get someone in to fix it. I have visited many, many schools and not one of these Estate Managers has never even heard of putting an inhibitor into his system? Why? Because, the so called experts who come to fix his boilers neglect to tell him of the benefits of adding inhibitor, knowing that they will have a call-out in a year or two for another problem to fix, all because the simple maintenance regime wasn’t adopted. For the building owner or the building maintenance team to be informed as to what is required to maintain the buildings he looks after, firstly he must purchase a raft of information from the likes of BSRIA and CIBSE. So the vast majority of the time they just don’t and they just plod along doing the best they can. The so called Energy Savings Trust and the Carbon Trust, should be the mainstay for end users to call upon to enter into a dialogue of help and advise to make these buildings function at the optimum efficiency’s. The problem arises here, although the EST and CT were supposedly set up and run by the Government to advise end users, they are just another money making machine and don’t really give advise for commercial buildings and won’t do site visits or surveys. What is really required and would need to be implemented nationwide, is a body which beholds the targets of reducing the Governments target of an 80% reduction in greenhouse gas emissions by 2050, do not charge a fee and fully understands all of the jargen, booklets, brochures and advice which is readily available from the professional bodies. These ‘Consultants’, who, may I add should not be attached in any way what-so-ever to the energy suppliers (who want you to use more energy to fuel their profits), who go into a building and give FREE impartial advice and who have an understanding and explain any tweaks or actions which could easily be taken to lower the energy needs of that building. They should as you have said in your article save somewhere in the region of between 10-20% quite easily. Just returning to the school theme, all schools now have have an energy audit completed and the results are posted on the wall, this poster is the same format as purchasing a washing machine with an A, B or C rating etc. All good, but this is just a bean counter who visits the school, looks at the building fabric, the energy bills and crunches some numbers and spits out an energy rating for the school. What would happen if we just gave these assessors a bit more training and understanding of what are the basics to look out for to help increase the efficiency levels of the building and then see the results in next years audit? They are on site, so why not. Remember, 30,000 schools and a 10% saving, simple, easy and could easily be achieved! We are all singing from the same hymn sheet, some of us are good, some out of tune and some really badly, the problem is these bad singers are stone deaf and think they should be on stage they sound that good! I have enjoyed writing this response and throwing my 2 penneth-in to this discussion. I would appreciate any feed back you may have. I believe water quaity is an important aspect that can have a big impact on energy consumption, but is often ignored or not understood. A good example is the presence of pseudomonas in closed systems which will create a sludge that causes many problems, including inoperative control valves and other sensitive equipment, and blocked strainers and problems with pump impellors – all of which will have an impact on enery consumption. It is not common to test for this bacteria,so quite often it is presentwithout anyones knowledge. With regard to your comment on energy audits in schools, I believe you are refering to Display Energy Certificates. When these were introduced 6 years ago there were issues around assessor competence as the industry was not geared up properley, but these are much improved in my experience as standards have improved. They do provide a basic understanding of operational performance that can be benchmarked and therefore give an incentive to improve- which is more than most buildings have. Unfortunately the goverment did not mandate them across non public buildings. The introduction of the new ESOS regulations next year will assist. Not too happy about being describes as a bean counter Richard – not sure how long you’ve been in the building services industry but I bet I can raise you a few years. That “bean counting” is a quick simple effective kpi that informs local users that they are either being successful in their efforts to reduce emissions – or not. It’s the first and most obvious step that any building manager should take and a good indicator of whether the building is being operated (and maintained) well – or not. In short a quick reality check to set minds working. To dismiss it as insufficient is rich, when a significant proportion of the few obliged to have one don’t bother anyway. I would love to provide a deeper service Richard – and will if retained for the purpose – but neither you, nor government want to pay for it. Indeed Carbon Trust used to do very well – until emasculated by political decisions. The savings are indeed there – but those controlling the purse don’t see it. There are always other pressures and both maintenance costs and energy advice are low down the list with many. Their view is very short sighted but the current reduction in energy costs is going to confirm them in that approach – until the next crisis. Great blog and I have also found that energy reduction is not a priority to maintenance contractors as there is no incentive for them to go beyond what they are contracted to carry out. Also some complexities of BEMS systems do not lend themselves to easy tweaks that could save energy easily without understanding the whole system and effects simple set point changes can have on other areas. I have seen a number of attempts of energy saving changes that have made no difference or increased energy consumption when, with the best will, engineers have tried and failed to make changes without appreciation of the wider system. Also most client’s don’t want to pay for a comprehensive review of a BEMS without concrete commitments to save x% on energy at fee proposal stage. Hope you are well haven’t seen you since working at Zurich in 1999. Thanks for the feedback – yes it has been a while since the Zurich days – a very enriching experience for me on the operational front! You make a good point with regard to not seeing the overall picture and understanding the design intent of a building. As you say even small tweaks with good intentions can have a dramatic effect on the operational performance overall. I attended an interesting workshop today organised by the BBP on design for performance framework based on the Australian NABERS operational benchmarking scheme. This mentioned that Australian buildings in general use between a quarter and half the energy to do the same job as similar UK buildings – and a significant reason for this is due to efficient equipment, properly installed and commissioned, maintained and managed. In other words no and low cost measures- and ensuring the FM team are fully conversant with the design intent and are sufficiently educated to understand the implications of any changes proposed in a building. Achieved – I believe – by client pressure. They want to be in a demonstrably well run building. Why does that not happen here. Why does the desk top engineering of an EPC trump the eminently practical DEC.
Is it because confusion allows sub-standard buildings to remain in play when they should not ?